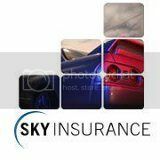 we just wanted to bring our details up to date for 2014 and we look forward to speaking to you when you are looking around for your insurance needs. Modified cars - we cover everything from aftermarket air filters to remaps to engine swaps. Modifiations are covered on a like for like basis.